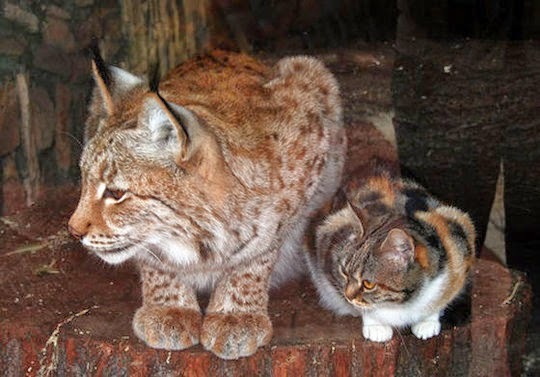 This traveling cat was spotted in a lynx cage at the Leningrad Zoo in St Petersburg, Russia. 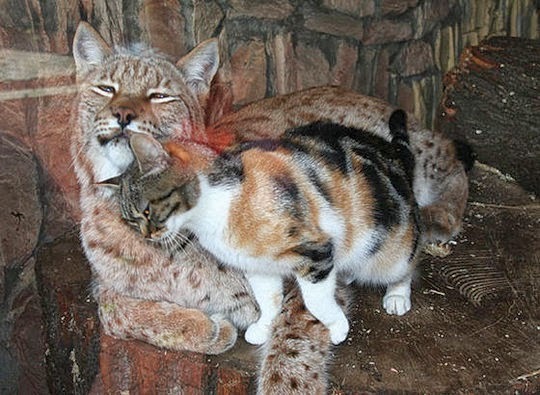 The homeless calico cat initially came to the lynx cage to find food, but they soon became best friends and are inseparable ever since. 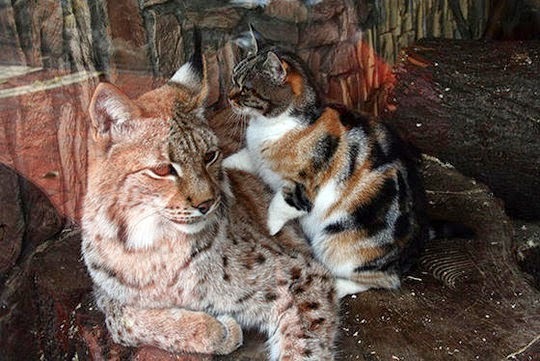 The Leningrad Zoo has now adopted the kitty so the two of them can be together every day. That is the sweetest story. Good on them both. Have a marvellous Monday. So cute! Sweet friend for the lynx who is not alone anymore. that is super and amazing because lynx can be very dangerous. love the colors - they blend so well together. cheers!! Oh, how adorable. Love those pix. Wow this is amazing. What a wonderful story and they are so sweet together! Awwww!!!!! How great is that!!!!! I'm so glad the zoo decided to take in the little kitty! Names of these cats? Koshka (cat) in Russian? C'est incroyable cette histoire ! Beau aussi. L'amitié est sans barrières ! Oh we love that!! Amazing!! 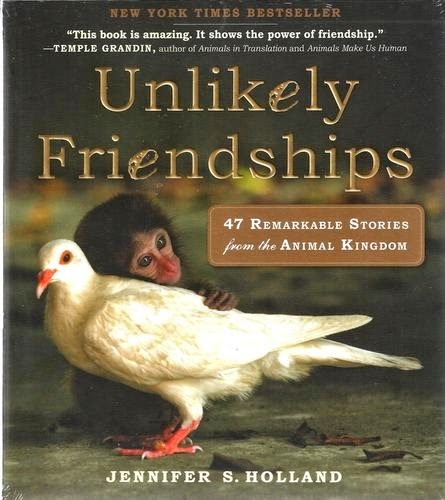 What a great story! And great photos too. Oh my god, this is adorable! I love how happy they look together. Wow, that is amazing. And adorable! Qu'elles sont étonnantes et belles ces images ! Etonnant mais tellement touchant ! That is super adorable! They're probably both happier and healthier through each other. Thanks for sharing!